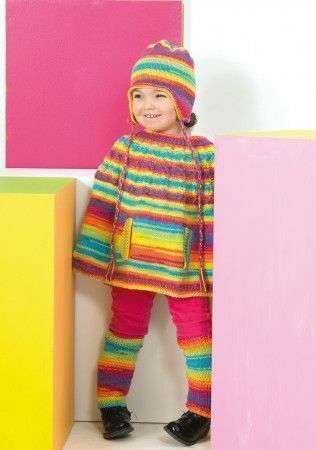 Cape, Leg Warmers and Helmet knitted in Wondersoft Merry Go Round DK. Also required: A Cable Needle and Stitch Holders. Please note the yarn requirements is enough to make the Leg Warmers and Helmet.